A commercial Iridium communications satellite collided with a Russian satellite or satellite fragment, on Tuesday, creating a cloud of wreckage in low-Earth orbit, according to CBS News. A source quoted in the article said U.S. Space Command is tracking about 280 pieces of debris, most of it from a non-operational Russian satellite. It appears the International Space Station is not currently threatened by the debris, but it’s not yet clear whether the debris poses a risk to any other satellites in similar orbits. Iridium operates a constellation of approximately 66 satellites, along with orbital spares, to support satellite telephone operations around the world. UPDATE: The Spaceflightnow.com article has been updated with quotes from a statement by Iridium and U.S. Strategic Command, that confirm the collision took place. The Iridium spacecraft are in orbits tilted 86.4 degrees to the equator at an altitude of about 485 miles while the ISS orbits Earth at an altitude of about 215 miles in an orbit tilted 51.6 degrees to the equator. Other civilian science satellites operate in polar orbits similar to Iridium’s and presumably could face an increased risk as a result of the collision. I’ve got to ask, with what speed did the two hit? I thought the orbits could be calculated with high degree of precision. Surely this could have been avoided. Where is the space traffic control? While reading this article, I immediately thought of the Japanese animated series Planetes, which starts with exactly the issue of collecting space junk in the year 2075. One of the few hard sci-fi series I’ve seen to date. Seriously, this is one series that you don’t have to be one of those sweaty “anime” fans to like; it treats its audience seriously without being too heavy with the issues (though some characters might still be annoying). It doesn’t follow most of the major anime (and sci-fi) cliches. And it also has one of the most satisfying endings I’ve seen in a TV series. A good review of the series was written by The Space Review (might have spoilers). Traffic control?!?! There are so many different types of satillites with such different type orbits, and the space junk!? We also have to remember there’s another thing to remember about in the equation, the occasional meteoroid or meteor say about the size of a football or soccer ball-when it comes to satillites or manned vehicles and meteors, meteors ‘ALWAYS HAVE THE RIGHT- OF- WAY’!!!!! There is no law or court on Earth that can change that!! More proof that there is a profitable future in space waste management. or maybe this is political posturing, with the russians proving they have the capability to knock down a satellite, from space. haven’t the chinese and americans both shot down satellites, from the ground? I certainly hope this will constitute a wake up call for eveyone who has been downplaying the increasing problem of space junk. Hopefully now something will be done before someone actually dies up there and/or the density of space junk becomes so large that a collision like this starts a chain reaction that wipes out just about everything in LEO. They proved they have an ASAT capability quite a long time ago. This satellite was dead and uncontrolled. The issue of space debris must be addressed and mitigated. Everyone concerned about space junk … ha, with Iran coming online, India, Pakistan, Israel, Brazil, and several other countries waiting in the wings, don’t think things will get better before getting much worse. What will be needed are robotic units that slow pieces down so they fall into quicker decaying orbit. I know it’s not easy matching orbits or if it’s really feasible but if you had something using an Ion engine that could hold an object, slow down, turn lose of it so it slowly, but much quicker than otherwise would have, reenters and burns up in the atmo … hell after a while you could sell tickets for people to match there docking skills in the Save LEO game. Now. let’s see, I wonder who said; ..
“Clearly the environment off space, especially in lower Earth orbit, isn’t American or Russian territory (or any one country, the volume is shared internationally. No doubt this event might of been a slip up, but the damage of just one item in space is enough to be catastrophic or deadly to those who wish to occupy this region. One day, and it might not be too soon, some accident will happen, and who should we blame? Isn’t this real the way some country or other should behave; I.e. All care and no responsibility. If equipment falls from space there is a real danger of property damage or god-forbid some human life. if it isn’t in my backyard, then who cares? Eh? I.e. Again, all care and no responsibility. Although space-flight my have been the domain of the Americans and Russians, it is fast becoming within the realm of many different countries throughout the world. It is obvious that the region needs to be protected, and if America (or any other country) couldn’t give a rats, then maybe someone should. With all the excuses (and their variants) stated here shows both simple ignorance and complacency. Clearly, common sense tells us that the loss of anything in orbit is dangerous practice, and those occupying low Earth orbit have a general responsibility of both safety and prevention if they are in orbit. To suggest anything else is just ludicrous. “Monitoring the item and where it is going is one thing, controlling what it might hit in orbit or where crash land is another. Again, with all these excuses, their variants, and seemingly biassed nationalism stated cannot hide the original complacency. Clearly, common sense tells us that the uncontrolled loss of anything in orbit is dangerous practice. Really all those occupying low Earth orbit and those organising the mission on the ground, have a important responsibility of both safety and prevention of potential present and future dangers if they are in orbit. The issue in the end isn’t really the astronaut in question, the fault lies in the adopted operational procedures adopted by NASA and the consortium of the International Space Station. No one expects Heidemarie to do things like fine needle work in orbit, but what we expect is some redundancy methods so such careless in avoided in the future. Anyway, still reckon she ought to be “hauled over the coals” for the incident. Again you miss the point. The problem isn’t really loosing the the tool bag. It is basically the need for denial and cover-up by the general media – including the NASA publicity department. If we are supposed to “learn from mistakes and move ahead”, well the question is why haven’t we do so? Really. Let’s talk about facts…. According to studies done in 1999, there is estimated to 1.8 million kilograms of space junk in orbit. With roughly 110,000 objects larger than 1 centimetre! Most are stray nuts and bolts lost by carelessness, and all have the capacity of permanently disabling spacecraft. Of this, because of the size, only 2% to 5% of the all particles could be tracked by NASA and the Space Command. Worst, is that most cannot be tracked over all places over the Earth. As to “learning from mistakes”, but three incidences for me highlight the concern if anyone is heeding the warning. – A U.S. Pegasus rocket upper stage was exploded in 1996, which presumable generated between 300000 and 400000 fragments. The orbit is high enough so that the majority remains in Earth orbit to at least 2050, and is travelling in the path of Hubble Space Telescope. These needles are still there in a vastly expanding donut cloud (15×30 km) some 3,700 kilometres above the Earth! like the informative CBS New report of 14th September 2006. I.e. “One of these days a serious catastrophic accident will happen, and we will get the usual incriminations, blame-shifting and “we should do more.” We have already seen the consequences of the two Shuttle disasters – with the loss of all on board – caused by what was seemingly only minor impacts on the spacecraft’s fragile surface. The result was inspections of all the Shuttle’s surfaces before re-entry – if only for the sake of the safety of the astronauts – but also for the loss of expensive hardware of the orbiter. In this case I have great admiration of the ingenuity to solve it. I also respect the bravery astronauts knowing the dangers and still willing to go into space. Yet in all, I really rue (and I hate having to say this) – when the day comes – when some manned craft is destroyed and all hands are lost. We would be probably unable to recover their bodies from the surrounding debris field for years, and we would have to live knowing full-well they are continuously orbiting the Earth above us. Surely this would be the bitterest feeling of all. Not bad for an egg-headed jerk who doesn’t know what he’s talking about! I’m pretty sure the so-called ISS picture is a fake. There is no air in space, so that strip of light is impossible: it takes oxygen to burn, or friction to radiate. Both non-existent in space. ISS is high enough above earth to have at least a tiny fraction of earth in the frame if this strip of light should really be earth-atmosphere induced friction. 801 – read the caption – this is not a picture of the explosion, it is an Iridium flare. Iridium flares are a well known phenomenon among amateur astronomers and satellite observers whereby an ‘Iridium’ satellite catches the sun and reflects it back to the viewer. Check it out on Google. Iridium satellites are shaped in such a way that they reflect sunlight extremely well. They also rotate, and so when a satellite moves by a particular location, a very bright flare can be seen at the moment it catches the Sun. These flares are actually easy to predict, and there are a number of tools available on the web that will predict when an Iridium flare can be seen from a given location on Earth. It is the same from space – these flares can be seen at certain and well predicted times. When one takes a photo of them, you see the classic trail that can be seen in the ISS photo – a ‘meteor type’ streak that becomes very bright in the middle. Its kinda ironic that space, a place characterized by its emptiness, has grown dangerously full in some parts. This is nothing. Wait and see what happens when teenagers can drive satellites. I think the US might have its own solution in due time. We’ve not only advanced the technology for drones and ion engines, but also lasers. I’d wonder if we cant just zap the really small bits to change their orbits. At the speeds we’re talking about, even a well timed cloud of vapor should alter the orbit of a paint chip. Its not difficult or dangerous, just something that needs to be done eventually. I stand corrected. You are right, I misinterpreted the caption. This issue of space junk is serious-brainstoming of suggestions and ideas to get of rid space junk should be addressed. grinding to a halt launching of advanced research satelites of how our Earth and our Universe really works. Shame that the shuttle had this one unique ability; to remove things from orbit, but that this was hardly ever used. The waste of money is complete. Conic- the SS does has the ability to remove things from orbit, however, there is space junk in an orbit that may be moving at a 90 degrees angle from the SS craft, and catching one of those ‘wayward’ junk pieces will be at the least quite impossible and downright dangerous. There will have to be orbital ‘cleaners’ that will have to be quite robustly built at the least, and much research and other feasability studies will have to be made. Considering the number of satellites in orbit around Planet Earth, I’m suprised this hasn’t happened before now. A good example of the number is included in the movie ‘Solar Max’. Where’s Sputnik Stan when you need him? Reminds me of the part in the film wall-e where the spacecraft leaves the jam packed low earth orbit. Hm, I’d understood if two uncontrolled objects crash, or if a satellite is destroyed by a small, difficult to track object. But a crash of a healthy satellite with a well known dead satellite?! It is true I do not know the background details, but it certainly stinks like a giant mess-up by the Iridium operator. Hope the incident will be properly investigated and those responsible for it called to justice. I wholeheartly agree with Salacious B. Crumb – this is definitely not something we could quietly go over with a “so what”. Iridium settelites are communication vehicles. Did this collision disturb any of our communication? Thomas, spacecraft in Earth orbit must be going at least 18,000 MPH in order to stay up there. So these two multi-ton craft hit each other at approximately 18,000 miles per hour. Ouch. With the thousands and thousands of items up there that won’t burn up in our planet’s atmosphere for years (LAGEOS 1 won’t come back for 8 million years, for example), and there will be only more added to the mix, this collision is only the beginning of even bigger and badder accidents in space. Wait until a manned ship gets hit. To add – yes, I remember the 1997 incident where a Progress craft hit Mir, and Space Shuttles have come back with pitted windows, but I am talking about the day when we have a really bad collision, one where they didn’t see it coming and it ain’t no paint fleck off an old booster. Seriously though, this is a desperate issue or SOON WILL BE! There has to be some one of great stature in the Space community that we can partner up with to start getting something done…. START SOMETHING! As soon as some one gets killed from Space Crap – NASA will be forced to halt all manned everything which will set us back ANOTHER FORTY YEARS!!!! The last thing we need is to give all the anti-space, whiner- A-holes REAL ammunition to stop flying in Space at all. I am willing to deal with just about anything to stay in space on our “course to the Moon and Mars”. From higher taxes to giving up a kidney if need be. Where do we go from here – and to WHOM?? Collisions should change the inclinations of bodys in earth orbit, because every collision means loss of energy due to friction, and therefore radiation of heat, and the attraction of the equatorial bulge of the earth should change the moving direction and pull the masses toward the equatorial plane. Hence, the more collisions occure, the more the orbiting masses should line up in the equatorial plane. Left to its own, the artificial satellites in earth orbit should collide from time to time, and with each collision they should generate more debris and so increase the chance of collision. Hence, after a certain time a ring of debris should emerge in the equatorial plane of the earth, analog to the Rings of Saturn. Where do you think Saturn’s rings really came from…. There was such a nice civilization on Titan until they made too much smog and their lakes became polluted with ethane. They tried to live in colony ships around Saturn, but there were too many of them, they all wanted the best view, then their politicians tried to take control, and all the ships crashed into each other. Everytime some space junk collides with other junk, each pieces takes a trajectory of its own, causing each to get into a new orbit that is filling up the areas thought ‘clean’. Some of the posts on this feeds about using some type of ‘junk vacuum cleaner’ however ridiculous or un-feasible some may seem to be- may have merit, and shows there must be studies,research and finally some type apparatus created- I don’t know any answer but I’m certain someone or consortium of companies will eventually find the answer and the apparatus to rid Earth outer space of these uncountable junk pieces that is increasing all the time. Aerogel foam sprayed into orbits where high debris traffic is located may do the trick, at least with the smaller stuff. The foam can then either burn up in earth’s atmosphere or have the solar winds blow it off into deep space, where someone else can deal with our problems for a change. quite ‘sanitary’.. ….I’d hate to take a space walk and get hit by the contents of some of these ‘bags’ of trash that had already collided with other junk and get hit by a piece of_________ You get the idea!!!!!!!!!!!!! advanced lifeforms there is in outer space, it will take quite a long,long time to reach there. But whenever it does, 10k-200k years, they don’t get mad and return the favor by heaving their junk our way!!!!! All the space trash from the early manned space flights was in real LEO and burned up decades ago. This is why people still think that glove which escaped Gemini 4 during Ed White’s spacewalk in 1965 is still circling Earth. It is long gone – but not the myth from people who don’t understand orbital mechanics and atmospheric drag. Timmy-I didn’t know about that glove myth. It sometimes makes me wonder, how, human nature is, some trash was dumped out at high orbit ground control has no knowledge of, however, I hope all the trash was dumped in LEO and burned up. I still wonder if someone up there cheated lol. Timmy is misguided here. It seems alright to dump things back in to the Earth’s atmosphere, but doing so is in everyone else’s back backyard instead of the country who launched it! The irresponsibility of the launchers of space junk are staggering. Who cares of the risk if you dump it on foreign soil – it doesn’t affect me so why bother. Again, as history shows us… All care, and no responsibly. Utter, utter foolishness! to rid Earths’ outer space of junk. easy to idenify and will be costly and instead get to the issue of getting rid of the space junk as soon as we can!!! Yo Salacious – I did NOT advocate dumping space junk in anyone’ back yard. This will teach me not to joke on the Internet – well, no it won’t. If space junk burns up in the atmosphere, all it does is make a pretty meteor for somebody. If it goes off into deep space, the odds of it hitting anything become even less than in LEO. Well, no you didn’t say that., but certainly defended this kind of position. Not to mention Skylab in 1973… Better just duck next time I suppose…? I might not know what I’m talking about, but is it better to bury my head in the ground like the preverbal ostrich? Salacious B. Crumb You’ve already accused Timmy of thinking of dumping junk on someone elses’ backyard in your feb12 4:32pm post-case closed on this.!!!! when things fall out of the sky- why don’t you place your thinking on getting rid of space junk- such thinking you have of forensics can wait unit this junk can be rid of in Earths orbit. I’ve accused no-one, and I’d suggest you be very careful when attacking views other across multiple threads. This directly implies. “I did NOT advocate dumping space junk in anyone’ back yard.”, is actually wrong. He did. If he says; “…someone else can deal with our problems for a change”; the who else did he mean? Hence my response. As to “blaming so and so of this and that”, I’ve blame no one at all – and certainly no you. As for targeting people across multiple threads is a very dangerous practice. I never made a post on “feb12 4:32pm”, nor was Timmy accused of anything in any other thread in Universe Today! What article of “…feb12 4:32pm” are you talking about, here? All you seem to be doing is just arguing on esoteric points which are totally irrelevant to the discussion. ”Timmy is misguided here. It seems alright to dump things back in to the Earth’s atmosphere, but doing so is in everyone else’s back backyard instead of the country who launched it! Salacious B. Crumb- U have the lawyer trick of accusing and wanting nations who launched vehicles and want them to be accountable for such junk in space. I stated your forensic studies, which is a case to have lawyers involved, will hamper our ability to get rid of space junk. I don’t know anything about law, nor care about it, but I do all along, all you want to do is place blame on someone which is of legal concern, instead of getting to the heart of the problem of getting rid of junk. Stop trying to confuse the issue with your indirect BS of saying I’m using lawyer tricks while all along, all you do is place blame. The saying ‘ Speak for Yourself’ pertains to you Salacious B. Crumb. I am not a Scientist but had a Computer Science education and a Computer applications career and now happily retired, and have Sons who are now Engineers and have grandsons and I want my grandsons to be interested in Science and Math and have an open mind and ‘think outside the box’ . I realize I am not an expert on the incredible phenomena of our Universe, but I do certain know human nature, and you accuse me of intentional lies, falsehoods, mistakes shows me you are not knowledgeable enough know the quarks of human nature and yourself and you believe you are perfect-I told people who thought they are perfect such a person does not exist, if there was a perfect person, that person would be dead and buried but still not perfect because the body that is in the ground is causing problems for underground living lifeforms to move about. You can live in your narrow shell of thinking and fume why no-one very much agrees on your narrow hypothesis on many feeds-open up your mind and look around!!! Timmy, would an aerogel offer enough resistance to deorbit the debris? I have heard it called “solid smoke” and realize we are not talking about a whole lot of delta-V hear but I’m not so sure. I like the idea of a droid with a scoop that maneuvers with a solar sail that can grab debris, change orbit toward the upper atmosphere, pitch the debris and then go back out for more. I would call it either the Roger Clements or Sandy Koufax satellite. Very sorry I’ve offended you…..
2. let SOMEONE ELSE deal with it. Know any humans living in deep space? Oh! I see. Imaginary pal, Hobbes, reincarnated as Tyler Durden. Oh, did you think I’d forget about the film “Fight Club” and Tyler Durden. If I can recall, in this same film, the real name of the protagonist is never revealed. How convenient! Now isn’t it a pity that your IP address are network administrator is just a little more difficult to hide, so I hope the moderators here see through your silly deception. > Keep right except to pass. Hmm… round here (New Zealand) that would break the traffic regulations. 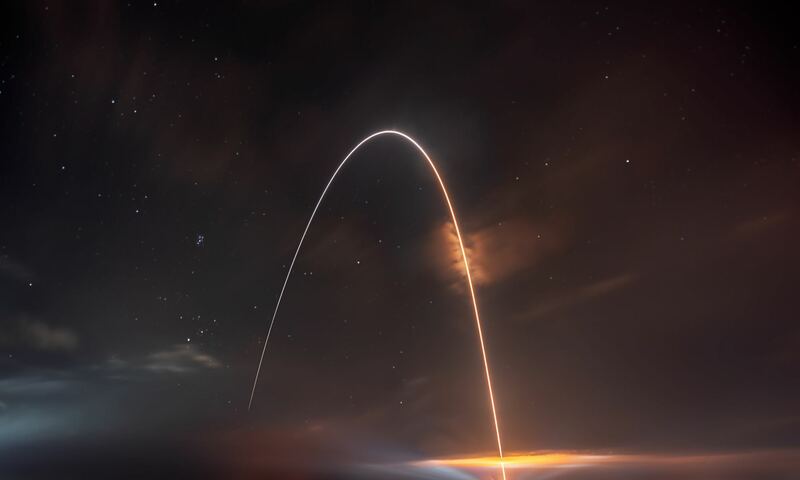 There are others countries that drive on the left side of the road, such as England, Scotland, Wales, Ireland (both parts), Australia, and Japan..
More seriously, the satellite crash decreases the safety of space travellers for many years in the future. Personally I think it is amazing that anything from space ends up landing on Australia, considering how relatively small it is. Maybe this is the Cosmos way of telling Australia to start getting back into the space business. The reason why Australia and New Zealand is the orbit of the satellite passes over the U.S. on the opposing side of the world in the orbit – presumably doing work for the U.S. territory. Furthermore, if a satellite is de-orbited, the target is the south Pacific Ocean, where there is a lower risk of hitting ground and their populations. The procedure obviously is not as precise as it should be. Also Australia in the orbit it the last place before the satellite crashes into the ocean. It would be interesting to find some statistics on the deliberate crashes back to Earth and if there are truly areas that are targeted or not. Needless to say, the U.S. has real pecuniary and legalistic interests in keeping this hush-hush. If Australia was a place of high incidents they would not be very unlikely want to openly talk about it. Huygens point about Australia getting back into space is a good comment, but with a population of about 22 million, monies available for a viable space industry. Still if Iran can do it, well I suppose Australia can?